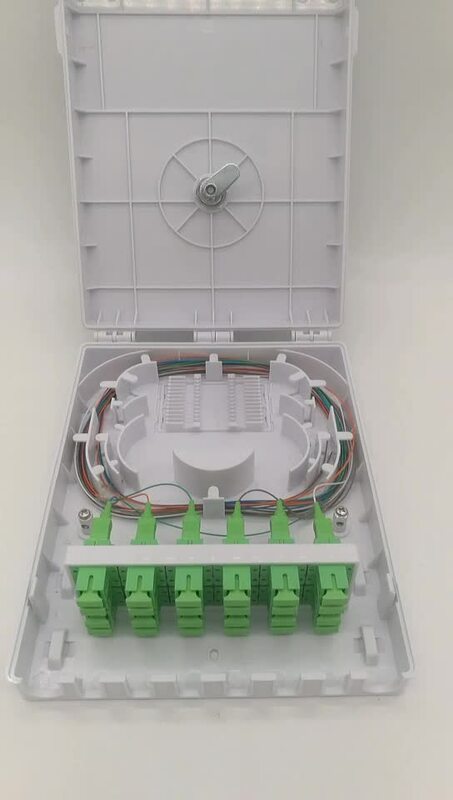 FTTH Indoor 24 Fiber Optical Distribution terminal box with 24pcs SC/APC Fiber pigtails and adapters. 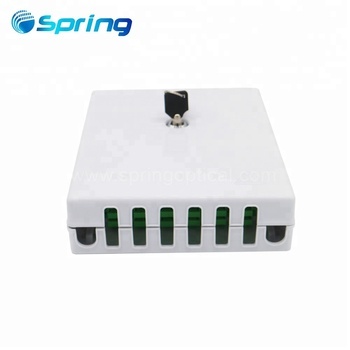 SP-1608-24A terminal Box is made of high-quality ABS Plastic material. 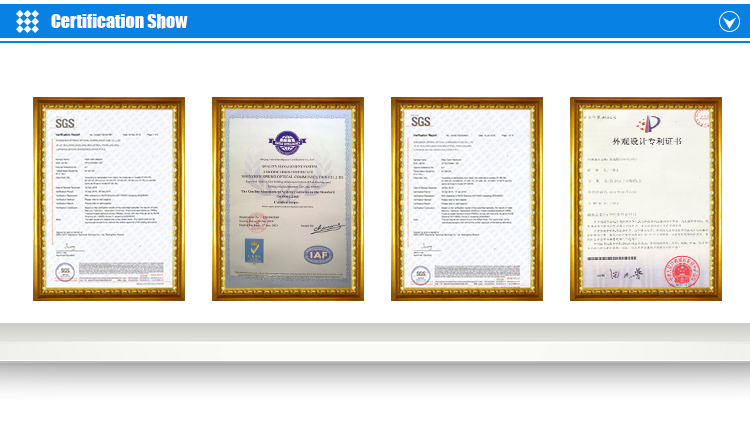 It’s mainly used for indoor wall-mounted installation. 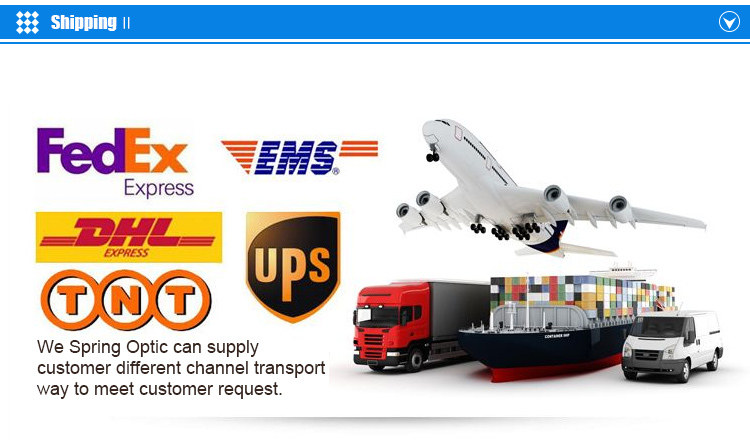 Box cover with locks, which prevent illegal open the box. 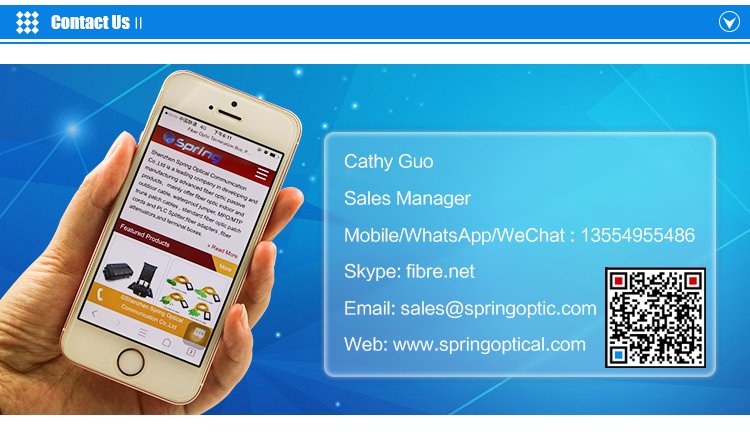 It is suitable for fiber optic cable & pigtail splicing and protection. 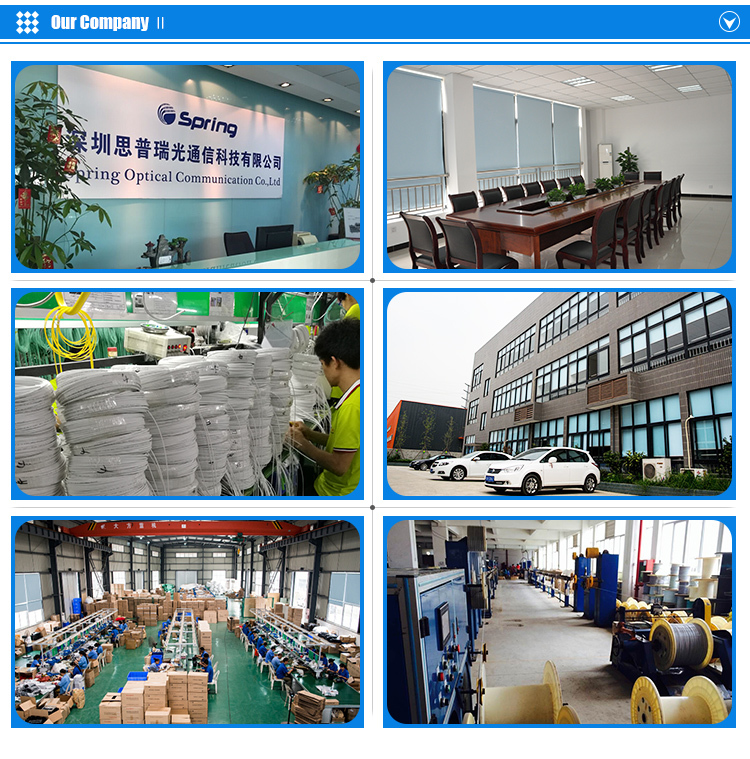 All operation in front of box, easy to operate and maintainance for on-site working. 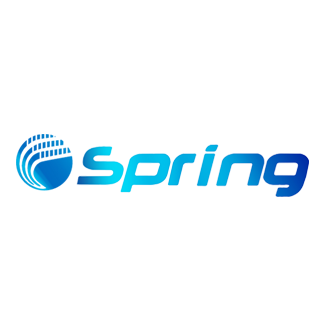 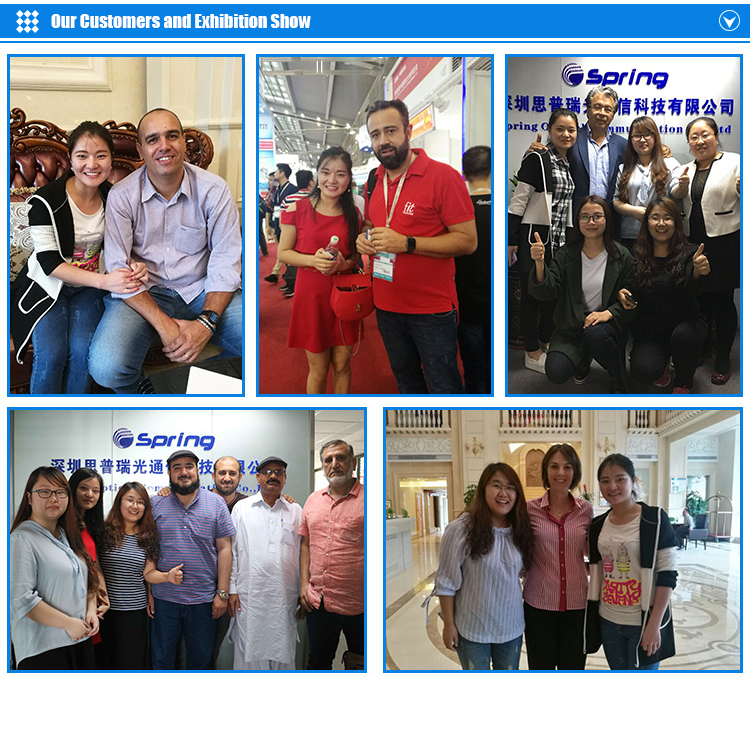 Shenzhen Spring Optical Communication Co., Ltd.